The trackpad on Apple’s Macbooks is a fantastic, multi-talented piece of computer hardware engineering. Best of all, with a few routine adjustments in the Trackpad preferences, you can adjust it to fit your personal computing needs and style. Most laptop trackpads have more than a few tricks up their sleeves. You will invariably be able to do stuff like scroll and right-click and zoom, but Apple’s trackpads are notoriously good at pretty much everything, and with the recent addition of Force Click, they have gotten even better. 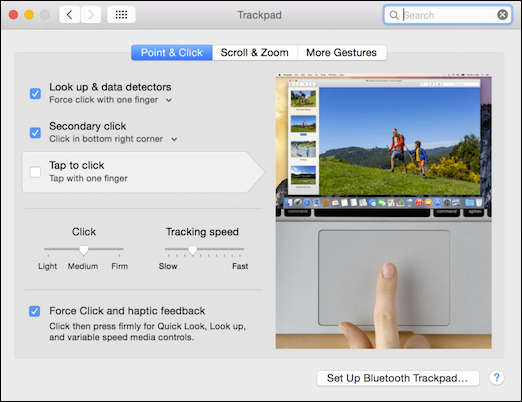 Force Click or not, if you’re using an Apple laptop, then you have a trackpad and there’s a bunch of stuff you can adjust. 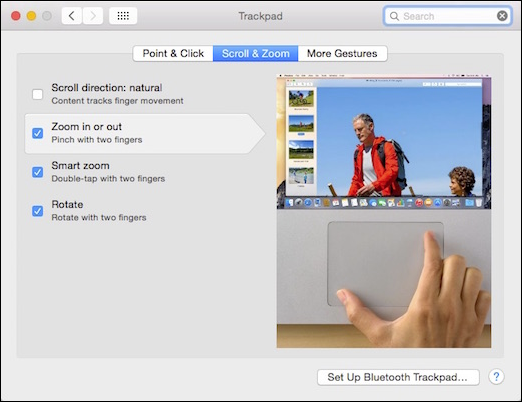 Let’s say you want to right-click with two fingers or have a quick way to access Exposé, you can enable or change all this in the trackpad preferences. So, let’s talk about those preferences tab-by-tab, feature-by-feature, so you know exactly what your options are. 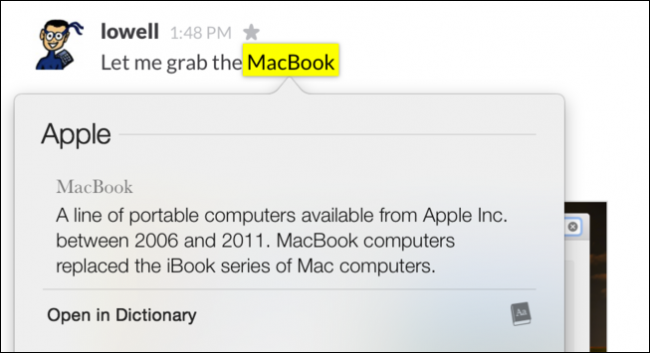 First, open the System Preferences either from the Dock and click “Trackpad” or by search for it using Spotlight. The first tab on the “Trackpad” preferences is for “Point & Click” options. Most folks will be interested in the “Tap to click” and “Secondary click” settings. The former will let you select stuff such as if you’re left-clicking a mouse button, while the latter will mimic a right-click. “Tracking speed” is also an important setting since that will let you decide how fast the pointer moves across the screen when you drag your finger on the trackpad. Most of these settings are very useful except “Three finger drag”, which tends to be annoying. Notice also, there is a persistent button at the bottom of the preferences allowing you to set up a Bluetooth trackpad. How do you want your secondary clicks? Two fingers? Bottom-right corner? Left? 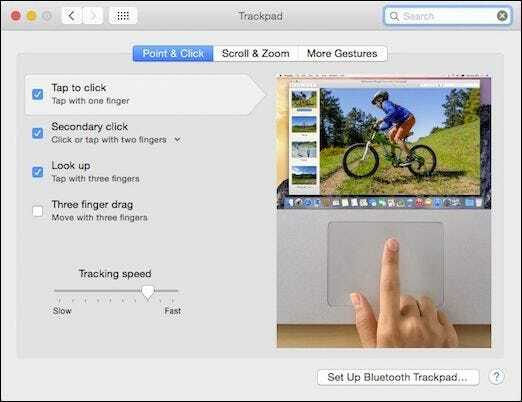 On newer Macbook Pros and Macbooks, the trackpad comes with the previously mentioned Force Click feature which adds another two options to the “Point & Click” tab. The Force Click trackpad adds a two options, the ability to disable/enable it, and click pressure adjustment (light, medium, firm). Force Click also replaces the three-finger lookup option on older Macbooks. Instead of using three fingers to look up stuff, you just use a bit of pressure (per your “Click” settings) to achieve the same result. The next tab are the “Scroll & Zoom” options. Finally, you can rotate content with two fingers, though this tends to feel a little awkward, and maybe a somewhat unnecessary since you can usually just use keyboard shortcuts. The third and final tab are the “More Gestures” options. There’s nothing super critical here, but you will find a ton of cool features that will let you enhance your trackpad use. Some notable options include the ability to swipe between pages and screens, open the notification center, Mission Control, Launchpad, and so on. The “Show Desktop” shortcut is great but if you don’t do it just right, you can end up opening Exposé instead. Don’t forget, wherever you see a little downward pointing arrow, you can change how you use that feature. Remember, a lot of trackpad preferences can be further defined to suit your needs. 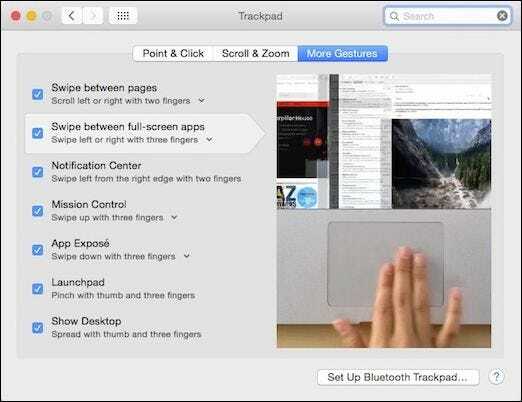 Mastering your Mac’s trackpad will help you become a pro. Rather than just swiping around and pressing to click, your inputs will be more nuanced. Used in conjunction with OS X’s many keyboard shortcuts, you’ll be whisking about the interface with the greatest of ease, in very short order. We want to hear from you now. Have a question or comment you would like to share with us? Please leave your feedback in our discussion forum.